Arabian Nights…OK. I’ll Stop! Life isn’t easy when you’re born with nothing and grow up with less. You do what you can to survive. These hard lives then to harden people. Numb them to compassion and blind them to justice. Yet, Alibaba has somehow managed not only to make it this far but to protect his kindness, maintain his sense of fair play. An extraordinary feat to say the least but Alibaba is no ordinary man. A good thing since he will need all that strength, resolve and humanity when he comes across Aladdin, and all the wonders he brings! Magi is both a Shonen and a A1-Pictures title which means that technical merits were always a roll of the dice. Basically, since Shonen count on action sequences more than other genres, studios will favor animation fluidity over art design. You can end up with even relatively high budget offering looking simplistic and uninteresting if no one is zipping around the screen. Couple that with the fact that A1-Pictures has an uneven track record, releasing such beauties as Black Butler and Your Lie in April along side decidedly less appealing series like Ace Attorney, and Magi could really have gone either way. Luckily, Magi ended up going the best possible way. The artwork is quite pretty and mostly consistent. Some action scenes have somewhat odd angles and loss of detail but when you consider how intricate the character designs are for this type of show, these little disparities are completely forgivable. It looks great, bright and cheerfully colorful. The luxurious backgrounds and exotic costumes of the Arabian Nights myths make for a stunning and unusual visual experience. Unfortunately, as I saw this some time ago, I’ll admit I remember little about sound design or voice acting. I assume this means they were both competent to good. I usually remember if something is outstanding and I always remember if it’s annoying. Story wise, I would argue that Magi:The Labyrinth of Magic offers a little more meat on the bone than your run of the mill Shonen but you’re going to have to bring your own gravy. The traditional archetypes are recognizable, but they have been balanced and fleshed out to create much stronger and more interesting characters than you might expect at first glance. The traditional hero’s journey narrative has been tweaked going off in some unexpected directions and allowing for a touch more complexity in the form of political machinations and social ethical commentary. Like I said, the meat is there, it’s just a little dry. As this is a first season of a Shonen, it’s not completely unreasonable that both the plot is a little underdeveloped. The more cerebral political power plays and philosophical musings are still rather shallow as they can only take up so much space without stepping on the action. The foundation for an expansively crafted world with far reaching history are put in place but the show has not had a chance to build much upon them yet. However, by far the biggest weakness of Labyrinth of Magic is the lack of any sort of interesting villain. Magi, like a lot of Shonen, hinges on classic “good” versus “bad” struggles (or hero vs villain). For the story to work, the audience has to get swept up in the conflict. The hero side of the equation works quite well. Everybody is extremely likable and easy to root for, but they still have their secrets to keep us intrigued and some morally dubious characters add some nuance and depth, avoiding an overly simplistic and moralizing representation. On the other hand, the villains are all one note jerks with seemingly no redeemable qualities. You can almost see them twirling their mustaches as they spit out speeches seemingly written with the sole intent to make them sound as cartoonishly evil as possible. There is zero delicacy in how the antagonists are portrayed and ultimately, they seem like simple caricatures rather than actual characters. Personally, I found them merits of the plot to generally outweigh the flaws and enjoyed the series quite a lot, but prominent wasted opportunities are visible throughout the narrative. I feel like I may be giving you the wrong idea. I’ve concentrated on the negatives a bit too much maybe. Before I became a vegetarian I really preferred my meat on the extra dry side. Although I may not have been as emotionally vested as I could have, I still had no trouble sympathizing with our protagonists and wanting to share their journeys. The more brainless action sequences are well done and very fun. Sinbad is a fantastic comedic relief and one of the biggest assets of the show (his two-man show with Ja’far were always my favorite moments). Even the occasional touches of romance were all enjoyable, and that’s coming from me! Look, it’s not Hunter x Hunter and although I’m just at episode 3, I’m pretty sure it’s not Full Metal Alchemist: Brotherhood either. But it’s not impossible for Magi to become that and that’s saying a LOT. Do you like how I wrote this pretending not to know what season 2 is like… I’ve seen it, I know, I’ll tell you all about it soon. I’ve noticed from general aggregate sites that 2 season animes are almost always rated lower in season 2. Shouwa Genroku Rakugo Shinjuu being a rare exception but that season 2 was a masterpiece. I’ve also noticed that I often prefer second seasons as I think previously established characters and settings allow for more complex plots. Let’s see if any of this holds true for Magi. Again, I’m trying to be coy, I already know the answer. 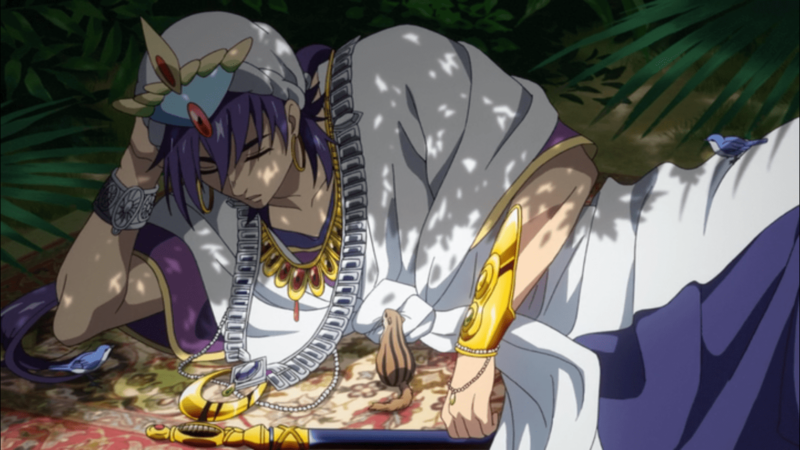 Favorite character: Ja’far, preferably with Sinbad. What this anime taught me: there’s a 90% chance that I’m royalty. Irina Wants Free Therapy – Why Can’t I Review Certain Anime? Surprisingly, I quite enjoyed most of season 1 of Magi. I’m usually not into shounen action titles, generally finding them too long-winded and filler-y for my tastes, but Magi probably worked for me because a lot of it was stronger on the adventure aspects than the action, which I can definitely appreciate. … I then proceeded to snore my way through about a third of the second season before giving it up as a bad job. The Harry Potter season did take a bit of a turn. I don’t remember much about Magi, but I do remember that you’ll get a rather great villain in the second season, I think in the second half, but the memory is fading. There’s a Sindbad spin-off, but I didn’t watch that. As far as Shounen go, it’s pretty middle of the road for most of its run for me, but it does have its peaks. Oh did I!!?? Good job me! I did a spotlight on this series. I enjoyed it a lot. I hope they do another sequel soon. 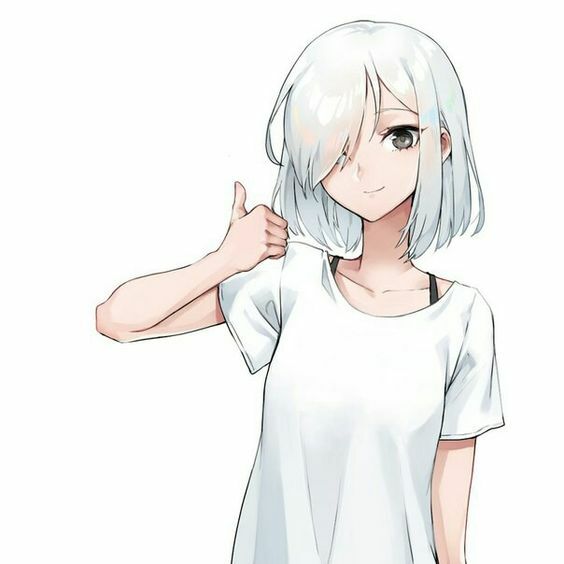 I don’t think the manga is finished or if it has its, there is more to be animated! Oh yeah there’s a ton more story to animate – The manga officially ended late last year but as it ran for years, they still have a lot of material. Well, it sounds like it may not be your favourite Anime… But, whiskey makes EVERYTHING better! Not my favorite but I did like it quite a bit. You know – I’m going to try that whiskey advice (not now it’s 9a.m.) and get back to you!